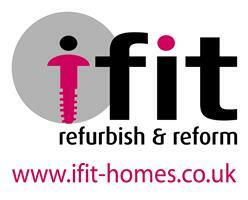 IFIT - Homes Ltd - Builder, Painter/Decorator based in Southampton, Hampshire. Adrian formed his company in May of 2010 after working for other trade professionals for a number of years within the building/construction industry. I decided to start my own business as I believed I could offer a wide range of professional services at a more competitive rate, and with a greater personal appeal. I have over 20 years experience having worked as a carpenter and shop fitter, and as a general builder in this time. Our main area of works include complete house refurbishments, consisting of all types of building work, extensions and conversions, installation of steels, kitchens and bathrooms . All aspects of carpentry and joinery are undertaken as well as painting and decorating. We undertake all residential contracts, office refurbishments and shop fitting contracts to a high standard of finish and would be delighted to offer a free no obligation estimate for any service you may require.